Cargotec has developed a system, known as the 4S (Siwertell sulphur safety system), which is designed to minimise the risk of explosions and detect fires when handling sulphur. 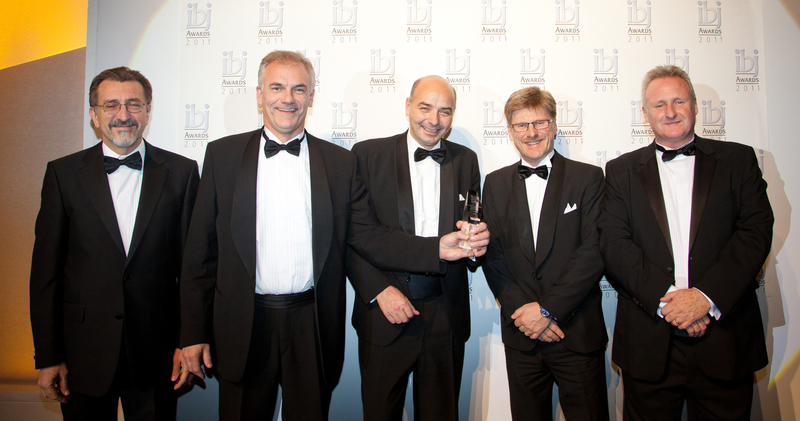 IBJ Awards judges felt that it offered the bulk-handling market the most positive impact on the industry in terms of improving safety in dry bulk handling and as a result, it won the IBJ Safety in Bulk Handling award. "We are delighted that our 4S system has been recognised in this way," says Jan Karlsson, Sales Director, Bulk Handling. "The risk of explosions and fires are amongst the largest hazards when handling sulphur and they also involve the most serious consequences, which is why we developed the system. "To ensure safe sulphur handling, Cargotec developed the 4S system with two main elements in mind: minimise the risk of fire and explosions and detect these as fast as possible." To prevent explosions and fires, the Siwertell unit is equipped with nozzles that spray water at the inlet feeder and in the conveyor transfer points. An automatic lubrication system is installed to lubricate and cool down end bearings and intermediate bearings. "Even with preventive technology in place, there are rare occasions on which an explosion occurs anyway or a fire starts," Mr Karlsson notes. "Therefore, Cargotec has designed a system that reacts immediately upon detection and extinguishes any fire." There are fire detectors along the conveying line, and when activated these automatically start the fire extinguishing system spraying water and stop the conveyors. This is vital to prevent fires entering the storage building. To manage any explosion, the conveyor's steel casings are reinforced with extra-thick steel, and explosion-venting valves are fitted along the conveyors and dust collectors to relieve pressure. Cargotec has applied the 4S to all ship unloaders aimed for sulphur unloading, both those for larger ships and road-mobile unloaders for smaller ships. "Siwertell unloaders were not previously able to handle sulphur due to the high explosion risk, but thanks to the development of 4S by Cargotec engineers, the company now receives continuous requests for sulphur handling systems worldwide."